4. 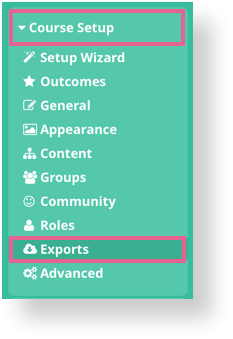 How do I set up a new export? Numerous data is available for export via the "Course Setup" > "Export" section. 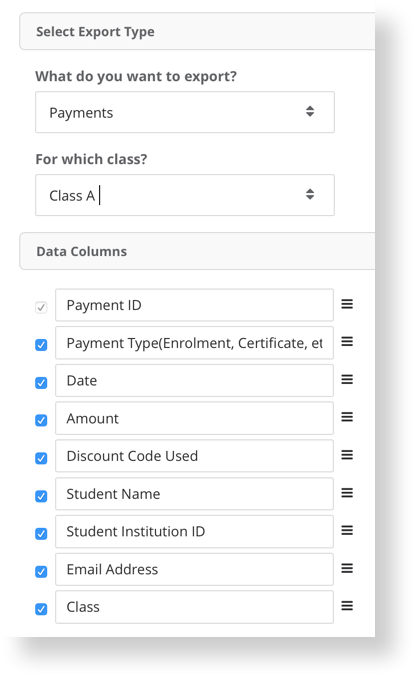 Export a history of all payments made in the course. Includes payment for enrolment and certification. 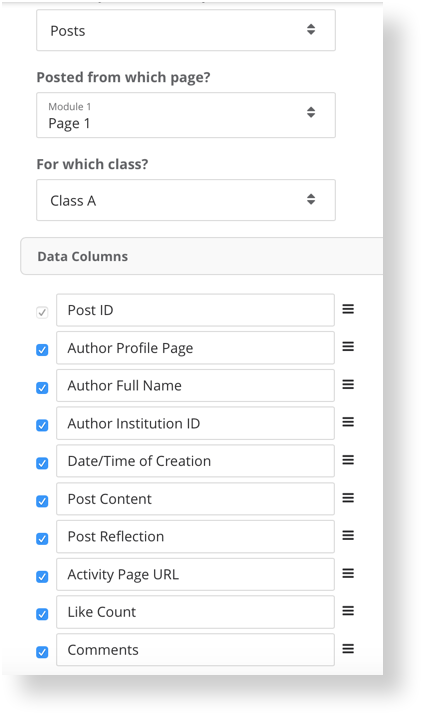 Export all student posts for a particular course page. 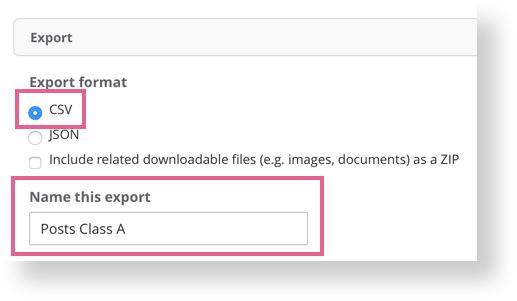 Related media and file attachments can be exported with the data fields. Which modules, pages, or widgets have the highest completion? Completion in these exports is expressed as the % of total students who completed this item. 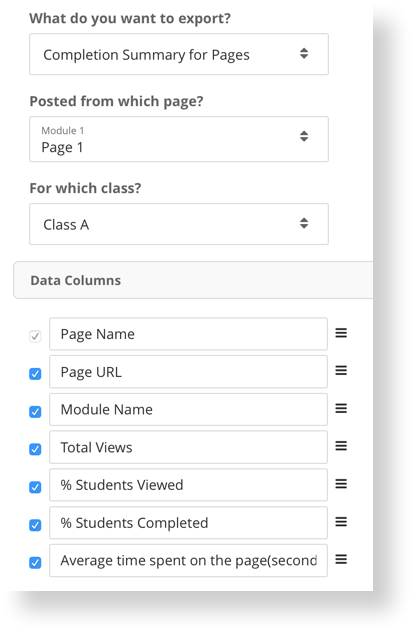 Export all the course pages in html format. This can be used for moving your course content onto another system or archiving it. This does not export student artefacts (e.g. shared posts, comments, galleries or feeds), only the static content. How do I set up a new export? Under "Data Columns" tick any extra data you'd like to receive in your export, and untick any data that you would not like in your export. Under "Export" at the bottom of the page, choose the file type you'd like to export as (CSV is recommended) and then name your export. Check to make sure all your settings have been saved. If not, click "Save"
A loading bar should appear as the export runs. Once it's complete, click Download to complete the process. If your download does not open right away, you can most likely access it from your computer's "downloads" folder.